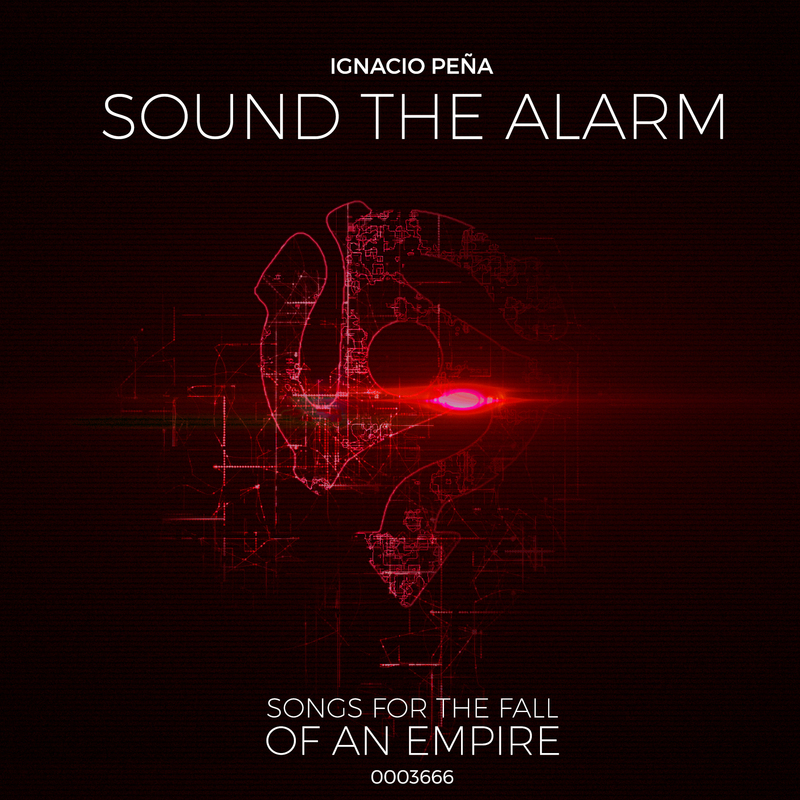 The Same Replies was my first venture into the musical world of Ignacio Peña, a song which opened his latest album, Songs For The Fall of an Empire, via swathes of neo-classical vocals and ancient grandeur before getting down to alt-rock business. It introduced me to his wonderful brand of music, music which blends the keen lyrical poignancy and musical deftness that you normally associate with the more progressive wing of the rock fraternity with a musical directness which swerves the usual bombast and flamboyancy which comes as part of that package. Sound The Alarm takes an even more direct line, this time looking at the sources of world power and delivering its findings in a punchy, dynamic and deft rock statement. Rock often gets a bad name for being dumb, cliched or overly theatrical. Peña makes music which comes through like a breath of fresh air, not holding back on the necessary grunt and grind of the genres core but also coming armed with that rarest of bonuses of actually having something to say. Whilst his peers are painting pre-pubescent images of cars and girls, of being tougher or richer or musically heavier than the next black clad dinosaur, this is rock music going down a smarter path. Songs For The Fall of an Empire is an exploration of the intricacies of the modern age; who holds the power, where does the money trail go, who is the real power behind the throne, who’s pulling who’s strings? Sound The Alarm comes with a video which matches the music, slick images of London’s power players, names and places and more esoteric suggestions blended into the live performance, neatly capturing the energy and power of the music and the depth and fascination of the message at its heart. Okay rock music, you have had your kicks, time to grow up and get real and earn your keep. With Sound The Alarm and the album which spawned it, you are having the door kicked open for you, a door that leads to a new chapter of intelligent rock and roll, all you have to do is go in!